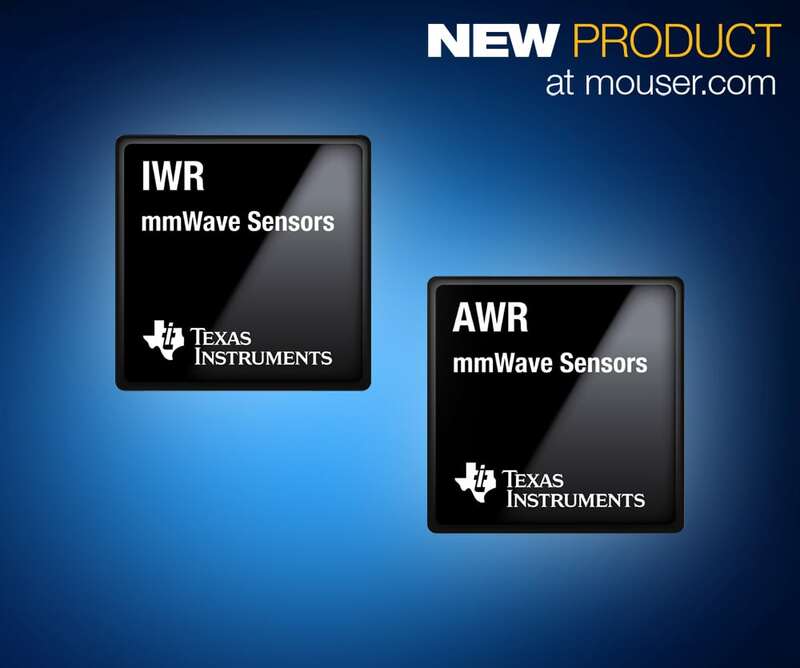 Mouser Electronics, Inc., the authorized global distributor with the newest semiconductors and electronic components, is now stocking ultra-wideband millimeter wave (mmWave) sensors from Texas Instruments. The industry’s first single-chip, CMOS mmWave sensors in mass production, the devices support frequencies from 76 to 81 GHz and deliver three times more accurate sensing and smaller footprint at a fraction of the power of other sensor technologies. The TI mmWave sensors, available from Mouser Electronics, are self-contained, single-chip solutions based on frequency-modulated continuous wave (FMCW) radar technology. The industrial IWR1642 and automotive AWR1642 sensors integrate entire mmWave blocks and analog baseband signal chain for two transmitters and four receivers, an analog-to-digital converter (ADC), programmable Arm® Cortex®-R4F microcontroller, and hardware accelerator, plus a high-performance DSP for radar signal processing. The automotive-qualified AWR1642 sensors analyze and respond to an automobile’s nearby environment, resulting in improved safety and usability. The device enables multimode radar for processing complex urban environments and short-range radar for detecting automobiles, motorcycles and other dynamic objects up to 80 meters away with high accuracy. The industrial-focused IWR1642 sensors are ideal for building automation, traffic monitoring, gesture recognition, and more. The sensors are designed to accurately detect the angle, range and velocity of objects, even in adverse conditions such as rain, fog, smoke and ambient light. The devices also support radar for transport, with the ability to detect moving vehicles at a distance of 60 meters with incoming velocities of up to 100 kilometers per hour. This entry was posted in Europe, Global, North America, On Ticker, Sensors, Sensors, Sensors, top articles, UK. Bookmark the permalink.